India has never been so close. The return of a great classic updated by the original autors Mr. Kramer and Mr. Kiesling with Simone Luciani. New tiles and new characters, new ways to get victory points and greater depth of play. And fantastic miniatures! 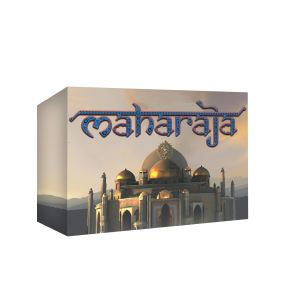 Maharaja is a game of placing workers, send your architects for the dusty streets of India with the task of building temples in honor of your divinity. Earn money to reinvest in your business and enter the maharaja’s graces. Be ready to follow your mystical journey.